In the sequel to The Silent Invasion, the story picks up from the cliffhanger ending after Callie runs into the father she thought was dead. Grieving the absence of her beloved little sister Gracie and Matt, Callie has no choice but to follow her changed father deep into the Zone. She senses her father's not the same person he was but has no other choice; she must trust him. Callie doesn’t know if Gracie is dead; she’s broken, exhausted and has no one else left. Throughout the trek back to her father’s base, she hears whispers and senses she may be part of the change but fights against it. When her father reveals that she has the genetic power to stop the change, they come after her. Callie is given refuge in the safest place she’s ever known, a place she never knew existed - where she can finally let her guard down. Her relief is short-lived and she is once again being pursued. Callie is on the run again, from the Quarantine, from the change, from soldiers. She won’t stop until the change can be halted. But how can she do that if a greater catastrophe is imminent? All seems completely lost and only the final instalment in this captivating trilogy can shed the light on Callie's fate. An action-filled novel with a fearless, determined protagonist, compelling characters and unexpected allegiances. 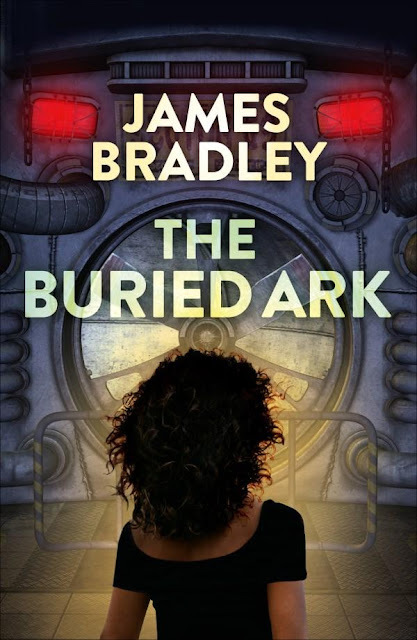 James Bradley has built a thought-provoking, frightening story world set in the near future, which is not too difficult to imagine.